Day 4 of my week of beauty! If you've missed the last 3 days you can find them here - Kiko Creamy Stick Blush Review, Revlon Ultra HD Lipstick Review & I went makeup free. Today I'll be talking about two Garnier Moisturisers I've been loving! The Moisture Match for combination to oily skin mattifying cream and the Miracle Sleeping Cream. I'll start with the night cream as it's been the one I've used for the longest. I got it in the Glamour Beauty Power List Box (which you can read the review of here The Glamour Beauty Power List Box). 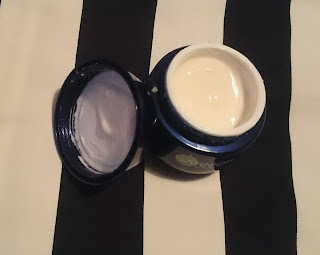 The packaging says in just one application the skin will appear to look de-tired as the creams self smoothing texture helps reduce the appearance of fatigue during the night. It says you'll have visible results from the 1st morning such as, skin feeling re-hydrated, looking less tired and your complexion looks fresher and more radiant. 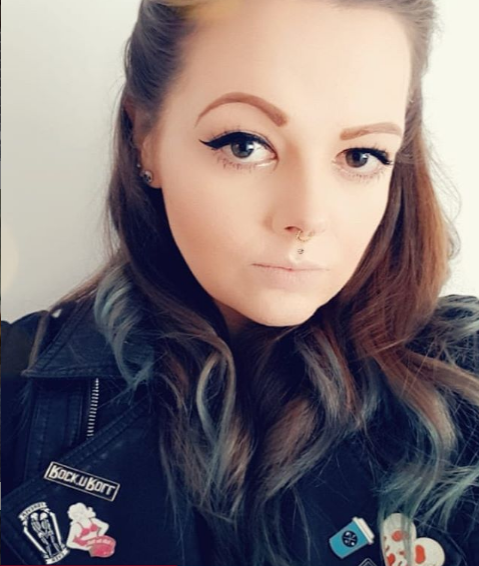 I never believe product hypes, I've tried products other people have raved about and utterly hated them so I didn't expect this to work miracles but I was really impressed the morning after my first application. My skin looked brighter, smoother and I didn't look as tired as I usually do. The packing also promises that every night the formula helps stimulate surface skin cell renewal so that skin looks refreshed, smoother, wrinkles appear reduced and skin feels firmer. As I'm only 26 I haven't started to worry about wrinkles too much but I have noticed the odd few faint lines that will eventually become wrinkles and I must admit after using this cream for about a week now, I have noticed that my fine lines are looking smoother and less noticeable! This miracle night cream is £12.99 for 50ml which compared to other high end night creams is a total bargain and I must admit I'm in love with it! This will be a firm repurchase when I run out and probably a makeup kit staple for a long time to come! 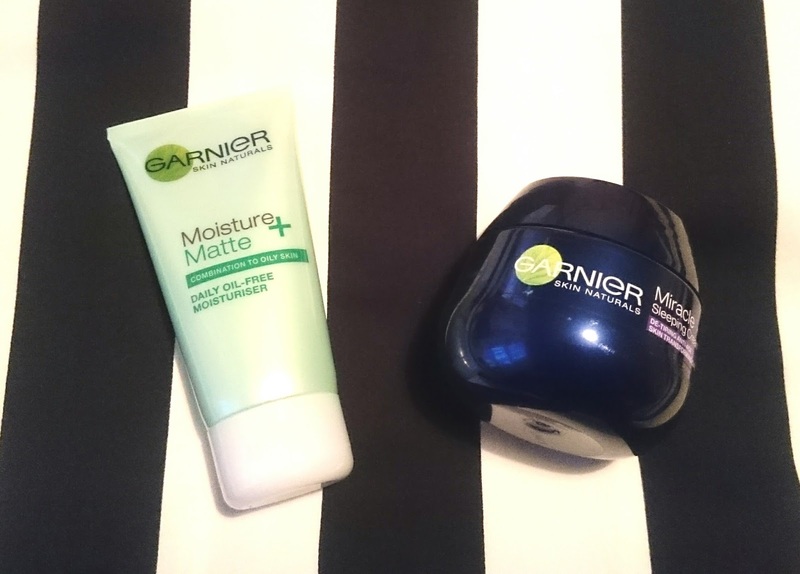 Next up is the Garnier Moisture Match cream. I purchased the combination to oily skin. I really suffer from shiny skin as the day goes on and it's a constant battle for me to remain matt. This cream promises to help mattify my skin ! It also contains Green Tea extract which is known for it's anti-oxidant properties and it says it will leave your skin smooth and mattified all day long. Now if you've read my blog for any time, you probably know I have a hatred for scented beauty products unless it's shower gel or body moisturiser and I'm sad to report this has a really strong scent. You can really smell the apple fruit water scent and it actually lasts for quiet some time when it's on the skin. 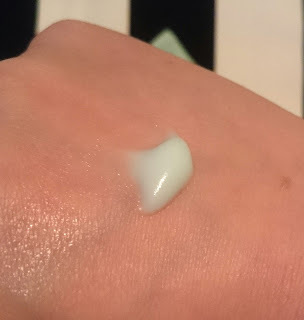 It does however absorb really quickly and doesn't leave the skin feeling greasy or slimy like some moisturisers can. I've found I only need to use a small amount to do my whole face and neck area which is a plus. I have noticed a difference in how shiny my face becomes during the day but it hasn't dramatically changed my life. I am still touching up my nose/cheek area during the day with powder to get that matt look that I love. I am doing this less often but I still have a need to do it! 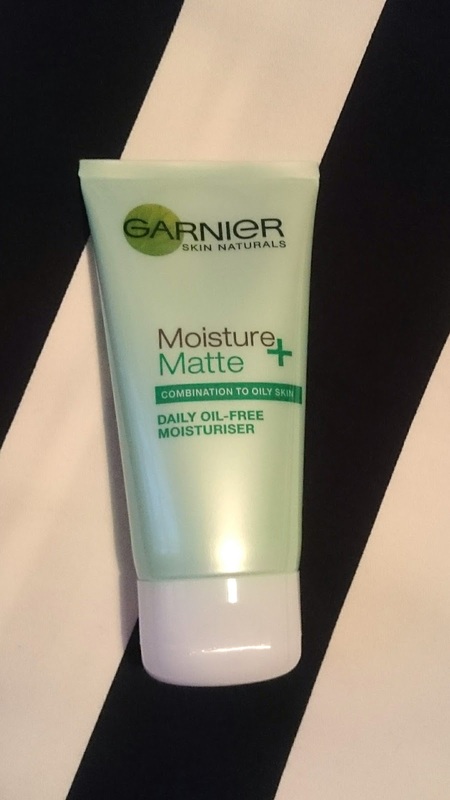 I'm not sure if this is a repurchase for me, I don't hate it but I just don't think it's my be all of moisturisers! Have you tried either of the products? I'd love to hear your views! 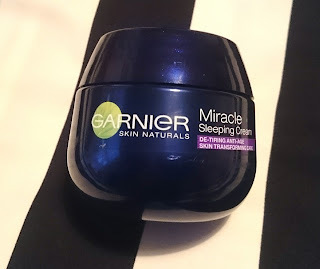 The Miracle Sleeping Cream sounds amazing. I haven't introduced any anti aging creams into my skincare routine (I'm 22 so it's not something I'm worrying about right now) but at £12.99 I think I can make some room for prevention.